What is middleman marketing and why is it one of the most profitable business models today? 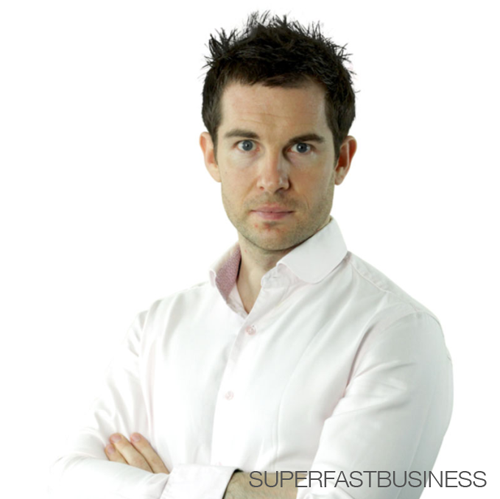 James Reynolds reveals the rewards of establishing a successful agency. 03:37 – Why not go wholesale? Are you selling the right thing? [Click To Tweet]. You can’t serve everyone. [Click To Tweet]. It’s hard to scale multiple things. [Click To Tweet]. James S: James Schramko here, welcome back to SuperFastBusiness.com. Today we are talking to Mr. Middleman himself, James Reynolds from Veravo.com. Welcome, James. James R: Thanks, James. What a nice intro, yeah. James S: I don’t know if you’ve ever been called Mr. Middleman before, have you? James R: I don’t think I have, but we’ll roll with it. I like it. James S: Yeah, so what we’re really talking about when we say middleman, is this fantastic idea that to get going in your online business fairly quickly and to grow to quite a large scale, you don’t have to have all of the pieces of the marketing machine. You don’t have to have the front completely sorted out, you don’t have to have the supply, the back end of the business, completely sorted out. You just have to know that there are customers out there with online marketing problems, and that you’d like to go and help them solve it. If you have that basic understanding, and you’re prepared to put in a little bit of elbow grease and set up an online front, so to speak, namely a website, and put an offer out to the marketplace, you can go and get a customer to come on board with you. Then the rest of it is actually an easy thing to do, and then to grow that turns into quite a great business. So the middleman simply means you’re in between the customer and the end supplier, and you’re just being a marketing person and running a business. In fact, you’re probably focusing on most of the important parts of running the business rather than a lot of the things that people get bogged down with. So how do you think that sounds, James, roughly a description? James R: Yeah, I think that’s perfect. I like the fact that you focused on the problem-solving aspect, and I think in this kind of middleman strategy that’s exactly what you do. You’re identifying a problem in the market and you’re going out and finding someone who can solve that problem with a solution. You just kind of sit there in the middle and direct the whole thing. So yeah, I think that’s a great analogy and one that I kind of adopted from you when I described this type of thing and it’s the perfect way to kind of position it, I believe. James S: And it’s not a new concept. It’s taking advantage of arbitrage, which is simply buy low, sell high. You can get arbitrage in different ways these days. One of the arbitrages that are common in our industry is the geographical arbitrage of labor rates. We can tap into lower labor rates, and we can sell it into higher labor rate countries, and we can make a little profit on the way through. Other things that come into play are currency arbitrage, some markets have strong currencies, others have weak currencies. So when we’re taking up the middleman, we are basically taking advantage of good, solid supply at wholesale prices, and we’re reselling that at retail rates at agency level prices to customers who really need that, and that’s the market they’re playing in. And we might be thinking, well why would someone pay a premium if they could just go wholesale? And that’s because often they’ll need guidance, and hand-holding, and babysitting, and reporting, and comforting, and education, and that’s part of what you will be doing if you take the agency position. And if you want to be a middleman, be prepared to deal with end user questions and education processes, and of course you’re going to have to set up things like a conversion funnel where you go and get the customers, you convince them that you are the right person to deal with, and then of course the supply and the back part of it is relatively straightforward. Once you know where to get wholesale supply, you will be able to just keep using the supply. And it’s important, and we probably will cover some of the key points, but with supply there are certainly some things that you’re going to look for. What do you look for when you are sourcing a supplier for a highly scalable middleman model, James? James R: Well, first of all, the ability to scale is super important. I mean if you’re focusing on the right areas for this model, which is ultimately marketing and solving problems for people, you want to make sure that you have got a resource that can scale with you. So their ability to actually fulfill a large volume of clients is one certainty that you want to look out for. And then of course, just consistency of delivery, good support systems, strong delivery, someone that you can just essentially rely on, because they will become ultimately kind of part of your own team, although they’re not directly employed by you, you do use them on a regular basis and they will feel part of your unit. So having that kind of reliability factor of course is mega important as well. James S: Right, so a couple of points on that. If you’re looking for scalability that will generally rule out task sourcing individuals from outsourcing company type or marketplaces, oDesk, Fiverr; a lot of those contractors, whilst they might be reasonably good or reasonably cheap, they generally don’t scale. And the better they are, the more quickly they run out of capacity. In terms of consistency, one person can only really scale to 180 hours, even if you monopolize them and brought them in full time. Generally you’ll find a specialist service provider who is going to have multiple people in their team. And one of the advantages when you hire a specialist team as a contractor for a per job basis is you’re not really having to worry about this recurring fixed cost of hiring, training, staffing, making sure that there is this workforce on tap. Instead, you’ve got this cost that varies depending on how much you need. So basically, it’s on demand, you pay for what you use, and no more. There’s really no waste, and you pay a little bit of a premium over hiring and training your own team, but now you’re not managing managers and being responsible for a small army. You’re just being responsible for running your business. And knowing where to bring people in house, versus outsourcing it, is one of the fine lines in this industry. When it comes to my business, I’ve decided not to take the front part of the deal. I’m not wanting the end user relationship. That means I don’t have to go and hire the customer support and salespeople, because my resellers are doing that part, and what we’re good at is doing the wholesale supply of websites and SEO services. So knowing which part of this business model that you want to specialize in is half the secret. Now why would you choose to be the middleman versus a vendor, what sort of attributes would you say a successful agency needs to bring to the table? James R: Well, you mentioned one earlier. When you’re dealing at a retail level, there’s a lot more focus on customer support and customer education. Whereas someone like you who is adopting the wholesale model will be dealing with educated customers, perhaps people like me. Near the other level we’ll be dealing with very much uneducated customers, so they need a lot of guidance, they need to perhaps be given a better understanding around the processes and how things work. So for us as an agency, we‘re very much focused on the customer support element, we’re very much focusing on the marketing element. And both parts really are an education process. There’s quite a lot of support requirement kind of explaining how things work and of course we have systems in place to do that. But we’re very much heavily focused on the customer, helping them understand, supporting them, knowing that kind of sitting behind us is a team who can actually do the deliveries. We don’t have to sort of worry about that quite so much. James S: Yeah, so really it would be, I think of my old days, and your old days, when you were in a photographic business, you had to get the customers in the door and organize the photo shoots, and then there would be the camera supplier making it in some factory overseas, much like the online stuff. You’re wrangling the customers; you’re providing a fantastic service. You’ve built yourself to the top level agency in the whole of the United Arab Emirates, which is amazing to see, and the size of your business now is really quite impressive. And you’ve built that on top of scalable supply and solid systems. So let’s just have a look at this. So far, we’ve covered why you might want to take the middleman option. It’s because you want to have your own business, you’ve recognized that there’s a problem in the market, you know where to get supply that’s scalable, that has quality and consistent results. And of course, you’re going to have to have good communication or recourse with the owner of that supply so that you know that you can trust the supply. So they’re taking care of all the hiring and delivering of the stuff. You’re taking care of getting the customers and making sure they’re looked after. You’re selling stuff at a substantially higher rate than your supply costs. Have you got any metrics that are involved there? And keeping in mind that this margin is to provide for education and service and reporting, because you’ve got costs as well, so it’s not like you’re marking up something and then adding no value, you’ve got this entire value layer, much like your clothing manufacturer. They buy their clothing wholesale, and then they have a retail store, they’ve now got to pay staff, electricity, advertising, rent, etc. So what would you say is a metric that people could use to work out how much they should be charging for retail prices? James R: Our stance on this is pretty simple. We try and work to kind of three times cost where possible, so we’re working somewhere between a 60% to 70% profit margin. That allows for adding all of the bells and the whistles and the expectations that perhaps a retail customer might have, and that would be things like reporting and perhaps more thorough analysis on the front end. You know, meetings and extra sort of telephone calls and all of that extra support and requirement. But also, if you allow yourself for a kind of a three times cost analogy, it also allows you if you want to add in another layer beneath you. And we utilize quite a lot of other agencies as a source of customers, and we can work with people like that because we can then reduce our costs, essentially take a smaller amount of our profit away, give it back to a larger agency as a marketing cost, and still end up with a decent profit that’s perhaps maybe sort of 50%, which of course for us is still very, very profitable. So that’s typically where we work, and I think that’s probably twice to three times cost is kind of the sweet spot for this type of model. James S: Yeah exactly. It’s so common in every other aspect. I mean I’m not sure how much an iPhone costs to produce but they’re getting the supply costs quite a lot lower than the retail price. Now in their case, they own the whole chain. They build the product and then they sell the product. And that’s one way to approach it. But you’re going to have to be a pretty big company and deep pockets to set that one up. Generally, it’s going to be better if you’re buying something and then reselling it. There’s so many examples like bicycle shops, clothing, furniture. Pretty much most the things we buy as consumers are going through multiple value chains, and each person is adding their little bit extra on top for providing that extra service or risk reversal, etc. The next question we might have is, OK. I get it. We know what you’re doing, you’re finding customers who have a problem, you are sitting down with them, you’re meeting with them, you’re explaining how it works, you’re designing the right solutions for them, you’re facilitating supply, you’re managing and reporting the process, that all makes sense. How do you get these customers? You gave us a little hint that you might piggy back up to bigger agencies that have the customers. That sounds like a winning strategy for sure. Is there anything else you could do? James R: Yeah. That one’s fantastic. I described this as going off to the golden goose, I suppose to going off to the golden egg. You can find people who have access to exactly the customers that you want, and then piggyback or work in combination with them. So if you’re selling perhaps marketing services like we do, then perhaps bigger marketing agencies, full service agencies might be fantastic resource for customers. But also, other people that have direct access to the sorts of customers that you want, so you might go again if you’re delivering marketing services to a printing company. They deal everyday with companies wanting to promote themselves and producing flyers and brochures and these types of things. So they again will have really good access to exactly the sort of people that you want. There’s many ways you can set those relationships up. You can have a reseller type model, where you allow them to handle the customer and you sit then behind that as a supply source. Or perhaps, you can reward them with referral fees of other type of things to reward them for bringing you customers. Those work really well. There’s probably about 60% to 70% of our business, I would guess. Other ways would be through search itself doing either PPC or SEO, and I find that works really well because it tends to bring quite a qualified customer, obviously actively looking for what you offer. And then other things that people might want to explore would be networking. I still think in the retail level, the getting out and talking to people about what you do and becoming very referable in your marketplace is going to be a great source of customer because typically when you’re selling stuff like what we do, SEO and PPC, which is quite abstract, people do have a lot of fears around it, and they’ll always be looking for a referral to someone, and that would come from having a good established name, and authority in your market. So getting out there and talking to other people about what you do, perhaps getting featured in the press and building up a name for yourself is one thing that you should really work on if you want to establish trust and get more business referred to you directly. James S: Right. So building up your authority. Now at SuperFastBusiness Live, in your presentation, you’re going to go into the golden goose strategy a little bit more and it sounds like it’s important, it’s 60% of your business. You’re also going to be covering some of the conversion strategies you have once you actually get the customer inquiry, how you turn them into a customer. For now, let’s just focus on the authority part. This is pretty popular topic. I know that content marketing and authority marketing, most people have some kind of a course on it. I know I’ve got OwnTheRacecourse, other marketing companies have authority building type of courses. What things have been working well for you with an agency model? James R: Typically for us, content marketing is absolutely the core of what we do. So we do a lot of it. A lot of obviously owned content for owned sites. But we also are doing quite a lot of third party content for other people’s audiences. Typically, within the agency retail type model, the places that are going to give you the best value are those that people are already aware of. So rather than producing content for niche websites within your market, you perhaps want to be trying to get featured in major media, because if you can get mentioned on the local news or you can get a reference on CNN, these are the types of places that your end customer, those retail level businesses would be very familiar with. So I think, things like getting yourself on the radar, getting yourself on the TV, if you can work your way into some of the big media publishing outlets, then that’s fantastic. And of course, all of this stuff that you do wants to sit back on your website with the typical “as featured in” type of logo splattered everywhere. That will give an element of trust to someone that’s checking you out. And if there’s places and logos that they’re familiar with, that would be very very helpful for you. James S: Wow. So how do you get on these publications? I should firstly qualify; you have appeared in these types of media places already, correct? James R: Yeah. We do quite a bit of this. So I’ve been on the local Dubai business news 2 or 3 times, I’ve been on the radio here several times, and then I’ve also worked myself into major publications, people and places like Entrepreneur magazine both here locally and the U.S. So publications that people would know of and I think that’s the important point. If your customers recognize these publications you’ve appeared in, it automatically just establishes a level of credibility with your potential prospect. James S: OK. So if I had an agency, I’d be pretty interested in appearing in major media outlets. How do we do that? James R: In case of the news and the radio here in Dubai, that transpired because actually I just asked people in my network, “Who do you know at the local news station?” Here it’s called Dubai One. I’ve seen that they do a regular business slot as part of every news segment. I saw the types of people that they were interviewing, and I thought I could be a good fit. I put myself forward; I just asked in my network, “Who do you know who’s there?” I found someone who was very good friends with the host of the news, and they introduced me, and that’s how it really transpired. I think these types of things often come through your network. So you always want to be out there asking, who do you know that could potentially refer you into the types of places where you’d want to appear. James S: Right. So it’s using that network. Where do you meet these people? James R: Getting out there and doing what you do, so networking events, specifically in the street type events. So here, I’m part of various marketing meet-ups and agency type circles. You can do the whole B&I type environment if you want to do that. But really, it’s just getting out there and getting known, and mingling in the marketplace. I’m sure wherever you are in the world, there’s this kind of marketing events happening. You want to be found in those places. And if you are positioning yourself in the correct way, soon people will start talking about you and the word will get out. So it’s just tapping into those places and just being mindful to ask the right questions about the people that you want to meet. James S: Do you think that if you’re going to have an agency, it might be a good personality type, someone who’s a little more outgoing and not afraid to step away from the computer? James R: Yeah. I think definitely, yeah. Much of this is about marketing and getting out there in the real world, to be honest. A lot of this stuff you can do from behind your computer. Both you and I would certainly recommend that people put a lot of focus in creating content, which will be distributed online, both on your own properties and on other people’s. Honestly, with this type of thing, there’s nothing like getting out in the real world and having real conversations with people. There’s so much more value in that, and I think those people that tend to do quite well with this stuff aren’t afraid to get out there, put themselves out there, and really mix things up out in real networks, rather than sitting behind their computer all day hiding. It’s not really going to do you much good. James S: Oh, there’s no doubt that every successful person that I know online I have seen or met or I know goes to live events, where you meet other people, and you expand that personal network. There’s so many of my Facebook friends I have actually met in real life. And these days, some of the bigger events can get up to 3,000 attendees. So it’s not hard to find somewhere where you can bump into other people. Even my little humble event, it gets close to 200 people these days. You live in another country and I’ve seen you plenty of times in real life. I think that’s a great testimony to the power of getting away from the computer. Your relationships and networks expand dramatically when you actually go and meet someone, share a meal or a drink or a conversation, take things to the next stage. James, when you think of all the people who ask you questions about your success, because I’ve tracked your success from the absolute beginning, like literally the start, and I think it’s very inspiring. And no doubt, you get people asking you questions. What mistakes do you see people make when they come to you for ideas and suggestions on how they can improve their agency? James R: There are a few topics that come up regularly. I think one of the first ones is what do I sell? A lot of people are split between the idea of selling may be multiple things or just dwelling down into one particular service, or maybe even choosing a market that they really want to go deep into. Maybe they want to be the marketing guide to the dental industry or something. I think being able to scale a business like this actually relies very much on choosing the right thing to sell in the first place and then positioning it properly to sell. I found that we’ve been successful; one, because we’ve gone and built a business around one particular service, which has helped us become very well established around one core thing, but we’ve also built a business that really sits on the back of a business similar to our own. We spoke a little bit earlier about piggybacking other agencies. We sell PPC and SEO primarily, and that has been really good for us because we essentially, rather than competing with other agencies out there, we become non-competitive to most because instead of doing websites and social media management and everything else in between, we just do SEO and become a support part to those types of people; so that’s been really, really important. And we’re not trying to project manage many many different things. So I think getting the right business model is also really really important. Also, people are always asking, “How do I get bigger and better clients?” A lot of that stuff I’m going to share at the event in a week or so; but getting the right business model, being able to sell bigger and better, and getting that consistent recurring income is also something that people are particularly interested in. James S: I’m a big fan of consistent recurring income, James. James R: Well I know you’ve built your whole business on it, right? And I kind of followed suit on it. James S: More than 90% of mine, and it’s one thing I keep re-messaging over and over again. It’s actually back in vogue now. It was something I discovered about 7 or 8 years ago, and have continued to focus on the whole time. And I’ve seen it come and go. I saw there was a continuity business fad 5 or 6 years ago, then it all went away, and it gone into product launches, and then it was masterminds, high level masterminds, and then it was e-commerce. Now it’s back to subscriptions. It’s funny to see things come around. It’s hard to argue the logic of getting repeat frequency. It’s one way to increase the profit margin or profit from a customer. You obviously increase the number of leads you get, you work on your conversion rate, which is a very important thing to work on because it’s a small change that can make such a big difference, 1% or 2% change could actually double your sales. And then once you’ve got the sale, it’s about increasing the transaction amount, which is why a retail agency, you’re talking about big numbers. Give us an example of a typical monthly recurring income that one customer might pay for your services. James R: We’ve got the meter in a range of price points. We never sell to anyone really that’s below $500 to $600 price point. But our typical customer and this is starting to become the majority of our customer, is probably around the $2,000 mark thereabouts. We have had much bigger than that though. We were selling to people who are spending in the $5,000 to $10,000 range and I have had noth of that as well. I mean imagine the difference between selling to one customer who is then going to spend $10,000 a month over and over again, than scrabbling around to pick up tiny little project bits that maybe sell for $500 or $600 once. That’s quite a dramatic difference. That’s the sort of numbers you can get if you build this thing properly. James S: Exactly. I’ve had a couple of clients at $5,500 per month mark for 7 years straight. When you think about 7 x 12 x $5,500 x 2 customers, is a substantial amount of revenue from just 2 customers. That’s the power I experienced. I recently stopped doing agency level just to focus on the coaching part of my business and the wholesale provision. So I think it’s really important to know which part of the market you want to serve. Very hard to do everything. Like you said when it comes down to market selection and service selection, your advice of starting off with one service is a really good tip. If you were starting out again, like say you want to go to a new market and you had to start a new website for various reasons, what do you think you’d start with? If say, you set up in the U.S.A. and you want to start selling as an agency to largest customers. Where do you think you’d start off? James R: Oh that’s an interesting question. Certainly, if I was starting out again from scratch, I would actually do things the same as I did the first time around, which is actually, perhaps start relatively wide because when you start out, you want to get customers, right? Probably your biggest requirement is to make some sales in the beginning. James S: Yeah. You want to get your cash flow happening. James R: Exactly. So you may be better positioned at least in the early days to offer everything. You can have the ability to essentially solve more problems. But as you grow, you’ll soon realize that selling many things is not scalable past a certain point. I think you’ll struggle to do high 6 figures or even much north of probably $100,000 in a year comfortably while you’re selling many, many different things. There will be that crossover point when you would want to narrow it down. James S: You’ll work out which ones of your jobs and customers are consuming far more of your energy for a very little reward versus the ones that are wonderful. I just did a coaching call today with a SilverCircle student and in her business, we worked out, of the clients that she’s got, which ones were just delightful and amazing and the most exciting, and which ones were hard work. And now, we’re tuning up sales landing pages for those specific target customers. We profiled the number of employees, the revenue, and the industry, so that we can really zoom in on the exact perfect customer because we’ve got data. So once you get a set of data, that’s time to refine and to switch off some of that trying to serve everyone. Because it is very hard to serve everybody with every solution and it might work for one or two customers, but then it quickly gets tiring. James R: Yeah absolutely. There are a couple of things here. It’s very difficult to be known for the guy that does everything. It’s very easy to be known to be doing one thing very well and you become far more referable when that’s the case. But the second thing is, as you know James, it’s hard to scale multiple things if you’re just consistently delivering one type of service perhaps in a few different package types, that might be your one variant. It becomes much easier because you have standard operating procedures that the team could follow, which allows you to scale much more easily than trying to do a million things at once. James S: Exactly. So we’ve talked a little bit about some of the mistakes people make, we’ve covered the middleman model, which is basically being an agency between the customer and the supplier. You don’t even have to do the selling yourself. A lot of more mature agencies have sales teams, and they certainly have automated or highly leveraged sales funnels, and I’m really looking forward to your presentation on the conversion aspects at SuperFastBusiness Live 10. You’ve got anything else you’re super passionate to divest yourself of in this particular podcast, James? You think we’ve given someone a few pointers to get going into this middleman model? James R: Yeah, I think so. I got plenty up my sleeve for the presentation next week. I guess your people are listening into this; they should get to the event if they can. If they can’t, I’m sure there’s somewhere inside the membership of yours James, where they can get hold of the recordings. So I’m going to keep a few tricks up my sleeve. I’ve got tons of good stuff to share for those people that are doing this type of business model or interested to do it. That just literally is going to be my kind of learnings from the past 5 years of trial and testing with this stuff, and I think where my business is at now is operating quite smoothly, and it’s starting to scale really really effectively; so if people can pick up a few tips from that, and I will be sharing frameworks and very specific procedures that I follow, I think people are going to take good tips from that and act on it. James S: Well frameworks will be one of the key topics at this event. I’m revealing 2 frameworks that I use most of the time. We’ve got Taki Moore explaining what frameworks are and how you can develop your own, and he’ll be sharing one of his favorite frameworks. And you’ve got some frameworks too. You’ll actually come out of this event or the recordings of the event inside SuperFastBusiness membership with very actionable information. I love seeing your journey. It’s been a great 5 years watching you from beginning to now. I’m sure you’re continuing that journey with the work that we’ve been doing together and I look forward to a future podcast where we see what’s happened since now to go to the next stage. James Reynolds from Veravo.com, thank you so much for sharing with us. James R: Thanks James. It’s been a pleasure. James S: Is your podcast at Veravo.com? Because I really recommend listeners have a good look at that because you do interview some fantastic people on that show. James R: Yes it is. If people head on over to the main site, Veravo.com, they’ll find a link to it. We do get some really cool people on there. Again, if people are in this agency space or general online marketing space, we get certainly really good guests on show and some good stuff. I’m sure there’ll be plenty of value to be found there if you’re into podcasts, which I guess those people listening into this show will be. So yeah, that’s a great place to check out. James S: Yeah there’s a high chance there is. Thanks James! Leave a comment: What do you think of the agency model and is it feasible for you?